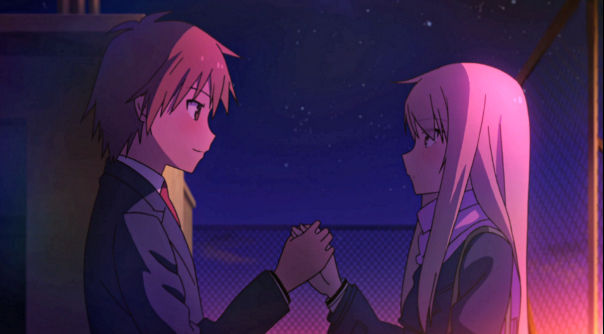 17 Recap: Emotions run high as the cast of Sakurasou experience this valentines day. Nanami Nearly misses her audition and only makes it on time because of Sorata’s help, while Mashiro waits for him to return to school with a gift for him. Rita returns for the day to see Ryuunosuke but he hides her out in the bathroom. Misaki tries to give Jin some chocolate but he avoids her. 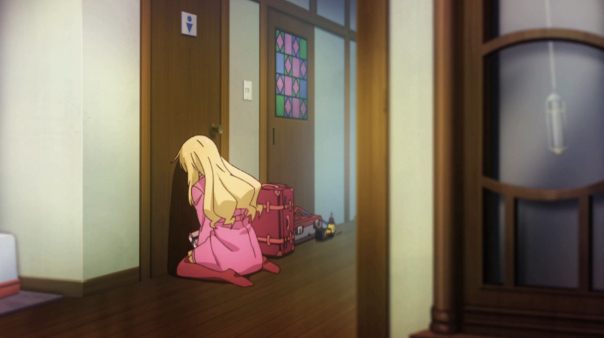 After Nanami returns from her audition, Sorata finally realizes that she has feelings for him. At least the kitties get it. Lifesong’s Thoughts: Chihiro’s words echoed in my ears as I watched the subtle developments between characters this episode. “If you become someone who can only accept his own ideal scenario, you’ll make yourself and everyone around you unhappy.” This feels particularly true with the relationship between Jin and Misaki. That said I do understand Jin’s concern but it leaves Misaki in a hopelessly painful situation. I suspect it will work out for them but it’s hard to watch. There is a neat sort of parallel between the relationship of Jin and Misaki and Sorata and Mashiro. There characters are very different but both stories build up the theme of meeting on common ground and earned equality, not just relationships with emotional feelings but a desire for the aptitude to back those feelings up. I can only imagine this was intentional on the part of the author making the story a bit predictable but I find that their resolve makes them just as compelling to watch as any of the better anime dramas I have watched. Ryuunosuke.. come on.. this is a sad sight. It may not seem like it but Ryuunosuke is also going through some growing pains. It’s easy to get angry with him for his treatment of Rita but his whole world revolves around hating women and avoiding human contact. Rita’s letter with awkwardly broken English seemed to have an affect on him and I am curious to see how things will develop between those two. Nanami is the Elephant in the room now. Over the course of this series I’ve come to like her character and want to see her find success. I’ve never been on the Nanami x Sorata ship but she is a compelling character despite this. 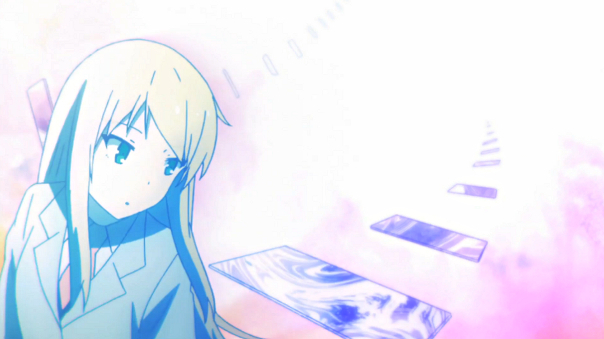 Sorata is finally realizing that she has feeling for him but it seems a bit too late. I can’t wait to see where this goes next. Even Nanami couldn’t hold back her feelings anymore. Marlin’s Thoughts: Yes, I actually have been watching Sakurasou all this time. Unfortunately throughout the affair I’ve been having a really hard time describing my feelings for the show. 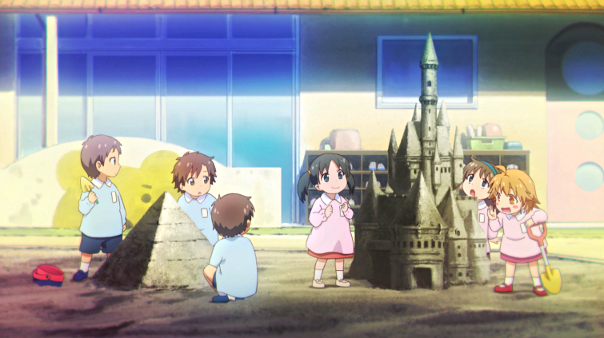 This show definitely has its frustrating moments and characters as well as heartwarming scenes and funny gags. Many episodes have so many things going for and against them that I somehow come out loving and hating this show at the same time. 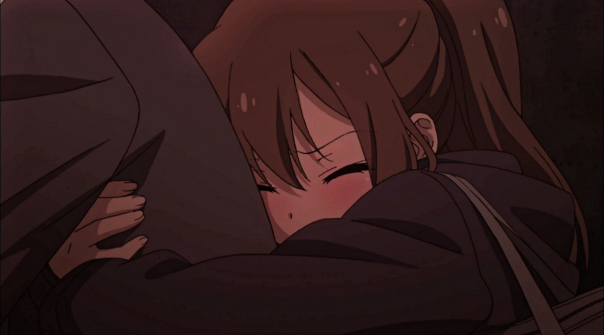 For once, Sakurasou breaks the cycle with this episode. It’s cliche as all hell, but for once Sakurasou really executed one effectively with the promise Sorata has to break to Mashiro in order to help out Nanami. The help given by Miyahara towards that end was really bittersweet. It really makes you feel sorry for the guy, he knows he can’t win Nanami but he still wants to help her, even though he knows he’s delivering her to the guy she actually likes. If there was one thing I disliked about this episode is that we had another scene of Misaki getting disappointed. It’s becoming a really annoying plot point they come back to because they really do not act like normal people in any way whatsoever. Learning what feeling alive is like. This foul mood was soon erased once the script-confession scene came up. Finally, it seemed like we were reaching a turning point in the entire emotional standoff that had been going on the past few episodes. I was hoping Sorata would actually have gotten it by that point, but it was still a good scene. His final dash to meet back up with Mashiro was even better. The mood and lighting of that rooftop scene was absolutely fantastic. While I wish these two still weren’t so apprehensive I suppose I can understand the initial nervousness they both have. One thing I am confused about is to how Sorata acts at the post-credits scene. I’m honestly questioning whether he actually does understand Nanami’s feelings for him even after all that. At the same time, I’m not sure why he’d get so embarrassed, it seems that he’s pretty sure of his own feelings for Mashiro with the way he acted on the roof. Am I missing something big or am I just expecting waaaaaaay too much from our protagonist? Yeah, I think I would be envious as well. 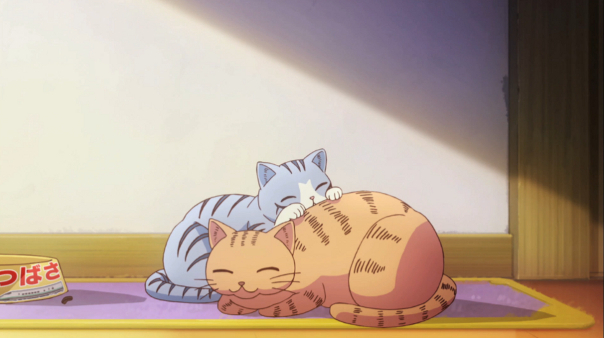 18 Recap: The relationship between Jin and Misaki is finally laid bare. Sorata and Mashiro delay Jin at the school while Nanami rushes home to bring Misaki to see him. Sorata and Jin duke it out on the roof over Misaki. Jin feels like he has already lost and Sorata refuses to let him give up. The distance between Jin and Misaki is not something that can be closed with words alone. 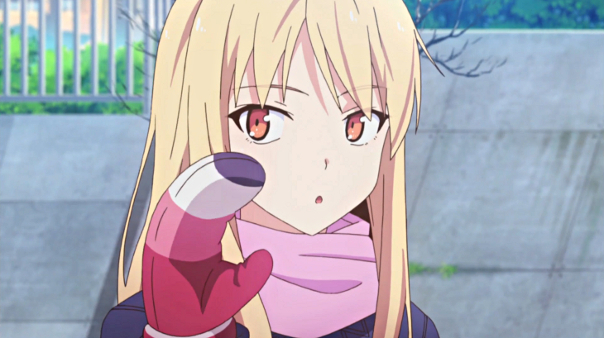 After Jin explains his situation and motives to Sorata and Mashiro, Misaki arrives. Jin tells Misaki that he is going away but puts a ring on her finger before he leaves. This is the part where you start pushing plan B.
Lifesong’s Thoughts: Jin and Misaki have a delicate relationship. They both clearly have romantic interest in each other but feelings alone don’t make a good relationship. The unhappiness caused by waiting for an idea situation like what Chihiro spoke of several episodes back nearly cost Jin his relationship. Jin’s motivations are not always straightforward but I think I understand where he was he was coming from. This episode did a good job of laying it out all. The way I see it Jin was trying to reach a level where he could walk beside Misaki. True companionship requires a level of understand that Jin didn’t feel he had with Misaki who always doing things bigger and better than he could. His motivation for keeping up with Misaki wasn’t his art but Misaki herself. He wants to become not just a lover but a true companion, I can appreciate that. This episode didn’t develop the rest of the cast much. In fact, Nanami is still waiting for news on her audition. That is true on the surface but Jin and Misaki’s relationship has always held an interesting parallel with Sorata and Mashiro. Sure the characters were not pushed forward but the theme was. Despite having a very different personality than Sorata, Jin even had his own love triangle. I also can’t help but notice and compare the way that Jin feels dwarfed and unable to keep pace with Misaki, with Sorata’s own reluctance use Mashiro’s art. I am eager to see what will happen with Nanami’s audition. I still think there is a high chance she will fail but with this new twist of Sakurasou Hall closing it’s doors, maybe something will happen to keep her around? The longer the results of her audition are postponed the more I feel like she may really get sent home.